Perhaps more than any other popular app out there, the loyal users of Instagram really hate being taken away from the app while they’re “in the zone”. 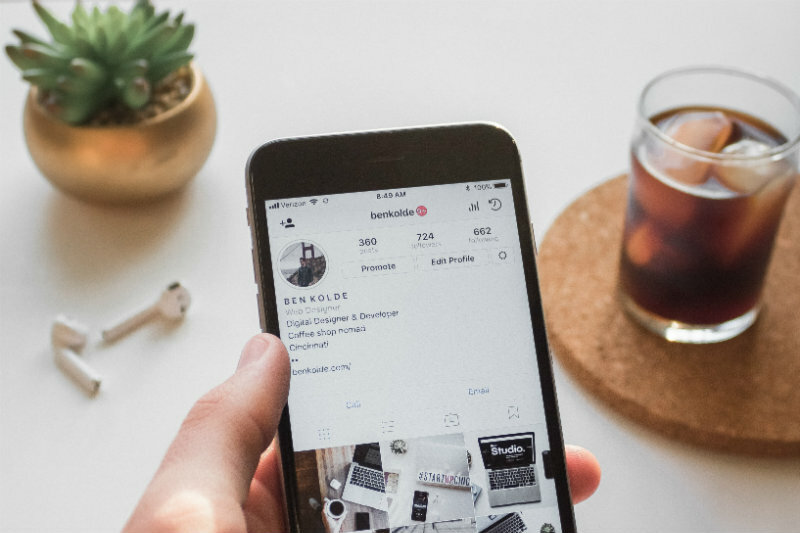 Whether it’s scrolling for #inspo, double-tapping or dropping a comment with at least 17 heart emojis – the millions of monthly active Instagram users now have even more reason to stay engaged due to the latest shiny feature: Instagram shopping. Instagram shopping isn’t exactly a new concept. Businesses who sell things have been active on Instagram for years, posting photos of their products and hoping that users will be motivated enough to find that same product on their online store and purchase. What has changed though is that the app has been updated to allow for shopping to be a seamless (mostly) in-app process. Facebook (who own Instagram) obviously realised the opportunity to allow for in-app shopping a long time ago and has been sneakily beta testing and rolling out the new feature across selected businesses around the globe in anticipation. Businesses who use Instagram to promote their products will now be able to tag their products with a link that not only shows the price, but links directly to that item within a business’ online store. Soon, the ability to purchase that product without leaving the app will be rolled out. This is huge for e-commerce businesses and anyone promoting their business through Instagram. How did Instagram shopping look before? Now before this feature, the existing options for e-commerce businesses wanting to show off their products on Instagram had some limitations. Initially, they could choose to partner up with influencers to sell their products, which was incredibly effective especially if their audience is closely aligned with the product. However, unless the business was going down the profit-share route, essentially giving influencers a unique code that their audience could use to get a discount on the product, it would be difficult to measure results. Then there was the ‘link in bio’ option which got super messy for brands posting a different product photo every day; meaning this route was nowhere near evergreen. Finally, brands could use the ‘swipe up’ option on Instagram Stories to direct people to their product pages (if they had the required 10,000 followers or more needed to activate this feature – or they could use paid ads to do this as well). Now this all worked relatively well but it doesn’t carry with it the engagement and social proof of regular feed posts that make product images stand out from the crowd. After all, we love buying stuff that other people love to buy! 3) Keeping the social proof of feed posts that also give people the ability to tag and share posts with their friends. Instagram shopping takes care of all of these problems – and others no one had even thought of before. Zuckerberg and his minions to the rescue! 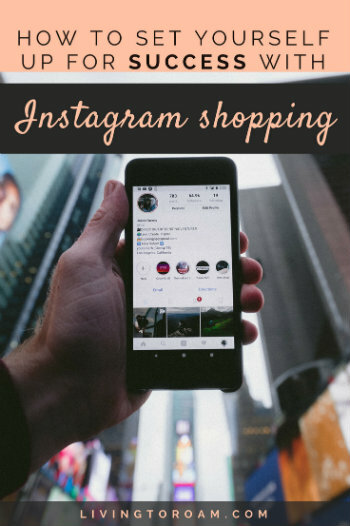 How do you get started with Instagram shopping? 2) It is limited to Facebook Pages who have products that don’t carry country or age restrictions. You won’t be buying beer through those sweet sweet Instagram photos anytime soon. 3) The Instagram account has to be a business profile, not a personal one. 4) And finally, the profile has to be connected to a Facebook catalog in order to be approved. Instagram product tags stem from a linked Facebook catalog and pull the associated data through to the app. So in this step, it’s important to ensure that the correct Facebook page is connected to the correct Instagram account. The actual approval process can take a few days but once approved, you can get tagging! What are the tagging restrictions with Instagram shopping? You can add up to 5 product tags per single image and up to 20 per carousel post. You do this in the same way you would previously tag people or other brand accounts in your post but by selecting products instead. Unfortunately, this does mean that you can’t tag products and profile accounts in the same post. It’s probably a blessing however, as that would get messy and potentially distract your audience from the product tag anyway. The simple workaround for this is to simply tag the profile accounts within the caption. The world of Instagram has the attention span of a small child in a candy store, meaning that users want things and they want them instantly. So once they click on your product tag to shop – they want things to load quickly. If people are engaging with a post and are clicking the tag but not converting to a sale, it could be down to slow website speed. So the biggest tip is to ensure your online shop loads quickly on mobile. Make sure you’re tracking what’s happening with your Instagram shopping posts. How many people are clicking to ‘see more’ product details, how many clicked on ‘shop now’, how many added to cart and how many actually purchased. If your sales aren’t rolling in, analytics could give you a good idea of where people are getting stuck in the sales process. This Instagram shopping feature has drastically cut the length of time it takes for a user to first find out about a brand to becoming a customer by allowing a purchase within only a few clicks. This means that it’ll be more important than ever before to write quality captions, captivating bios and provide a quick and compelling customer service experience. It’s important to keep in mind that Instagram is still very much about a human approach to selling. If your content has always been about the story behind a product rather than the product itself, don’t lose your audience by offering them simple product images with tags and a feeble caption. Keep doing what you do best and think of the Instagram shopping tag as a shortcut that users can take to purchase if they want to. On the same note, don’t forget about the careful balance of providing educational, entertaining or engaging content versus simply selling to your audience all the time. 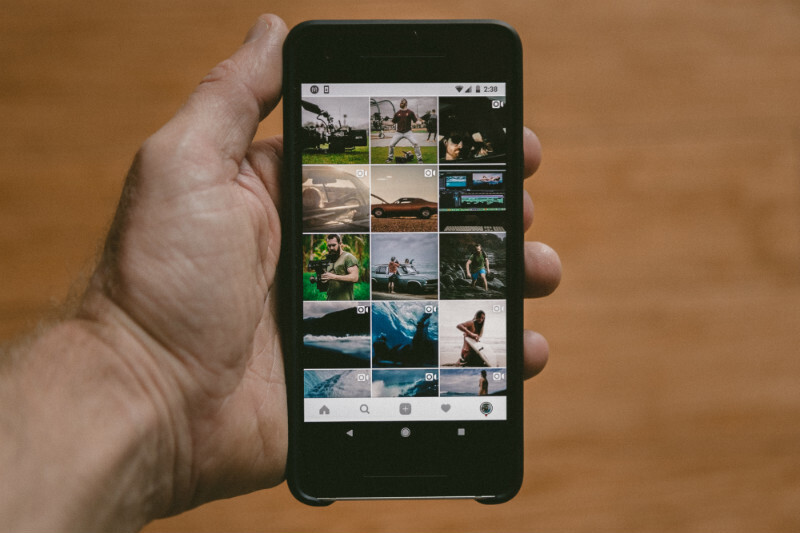 People on Instagram have some of the best engagement rates of any platform, so use this to your advantage by posting something they can engage with! Lastly, make sure your customer service game is on point, especially through Instagram private messages. Gen Z and Gen Y make up the majority of shoppers on Instagram and they pay attention to excellent customer service, and aren’t afraid to call brands out when they don’t respond the right way. With in-app purchasing around the corner, private messages will soon be used for payment and shipping enquiries, so best be prepared to keep on top of your inbox. What does the future hold for Instagram shopping? The future is definitely bright for shopping on Instagram. As the numbers of daily and monthly users continue to increase, more features will no doubt be added to enhance the user experience. In-app purchasing is one such feature that is currently being trialled and is hot on the heels of the recent addition of in-app purchasing being made available through Facebook Messenger. If users have the ability to purchase a product as soon as they see it on Instagram, without even needing to leave the app itself – the world of e-commerce will surely become even more competitive than it already is. Paid advertising is also on the agenda for Instagram shopping and this will be another revolutionary change when it goes live. Currently, shopping posts are only organic in nature, but when the ability to advertise a shoppable post is possible, marketers will surely flood the platform with these lucrative paid ads. In addition, a new type of advertising campaign will likely make its debut on Instagram – collection ads. They are currently being tested by a select few businesses who have early access, but signs are promising for this to be rolled out for all businesses in the future. This could change the game, especially for people doing makeup tutorials and product demos on Instagram. It will appear in the form of a video ad, while the products featured in the video will be available for purchase below (similar to how collection ads work on Facebook already). Overall, we are super excited about the future of Instagram shopping. The potential is there for this to revolutionise the way that online shopping is done around the world and how Instagram will be used by marketers and e-commerce businesses going forward. Tell us in the comments below how you will be using the new Instagram shopping feature for your business or your clients.